View Emails of OLM File in Seven Ways within Software Interface Itself. Select Items or Folders in OLM File for Conversion to PST File Format. Efficiently Move Emails with Attachments from OLM File to Outlook PST. Retains Metadata like Email Properties, Contact Fields, Calendar Schedules. Advance Search for Selecting Messages for Export to Windows Outlook. 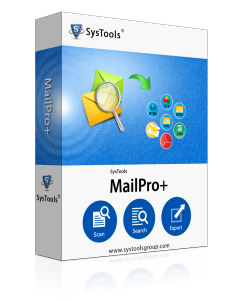 Apart from MAC OLM to Outlook PST, the Software Converts OLM files in more than seven file formats. Fill details Title, Collection & description and click on add. Software quickly scan file with email count. Tool allows to preview files in multiple preview modes such as MIME, Hex etc. Select emails file to export. For bulk conversion, export given in top bar. Choose destination file type. Optimize email data with export options. Browse location to save files. Click OK to initiate final process. I am working as the system analyst. As a matter of fact, this job looks easy, but the real scenario is totally different. Every time there is the possibility that some error occurs in the system which effects the working & productivity as well. Currently, I am facing a strange problem with one of the employee email system that it automatically shut-off unexpectedly without any warning or hardware vibration. Somehow I try to restart it again but it opens but items are missing. I fail to recognize the shutdown causes of the system. Now I decide that I have to go with other email clients with data of about 2.5GB. Can I able to convert OLM file to PST in bulk? Is it possible to convert complete Mac Outlook Items like tasks, journals etc. to PST? Does OLM to PST Converter impose any file size limitation? Is it possible to convert attachments also? According to the recent trend that users of MS Outlook grow at very fast rate. This is because of it's easy to use GUI and its connectivity with exchange server. There are certain cases when the user from Mac Outlook wants to move to MS Outlook. Then in such case, OLM to PST Converter is most usable utility to convert OLM file to PST. It maintains the folder structure & preserves the data integrity of OLM Data as well. Using OLM to PST tool you can easily convert OLM file to PST in bulk. It facilitates you to transfer complete OLM file attributes to PST. There are no restrictions imposed by the software on OLM file size. You can also convert OLM attachment embedded in same PST file. Can I convert the OLM file to PST on Mac machine? No, the software is made for Windows Operating System. Therefore, for conversion, you have to bring OLM file on Windows OS and then process the file. How many files can I convert at a time? There is facility to convert multiple OLM files into PST file format. Bulk data migration is supported by the tool. The Convert OLM Emails to PST Software will convert Mac Outlook OLM file into Unicode PST file. Therefore, there is no size limitation on size of data for conversion. Moving email data from one platform to another is the part of our job. This one tool is a solution for all our problems. It has so many conversion options that make our varied tasks simple. The enterprise license of the OLM to PST Converter tool is superb. "When user desired to view or access its MAC OLM into Windows OS. As there is no manual method to perform the conversion of OLM Files to PST then he definitely needs the help of trusted software like OLM to PST Converter which can quickly complete the task with ease.